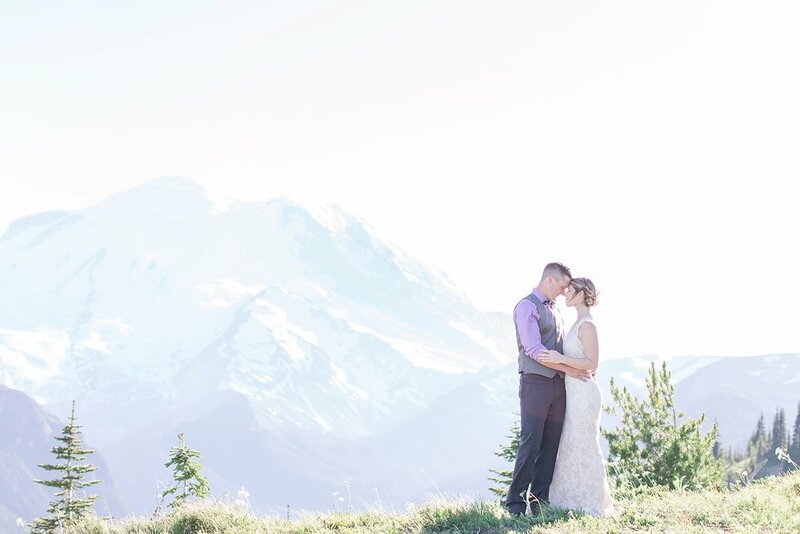 There are a few things I'm not a fan of when it comes to being a wedding photographer in Seattle. Well, one thing, to be exact: rain. I just LOVE those stunning sunset shots and we seem to get a lot of gray cloudy days here! And I won't lie, there have been days where I think about relocating somewhere sunnier (pretty much every day from November-May, actually). But then? Then summer rolls around. And every year, like clockwork, I wonder how in the world I could ever, ever, ever leave this place. Because Seattle in the rain is pretty (if a bit dreary). But Seattle in the summer? I'm not sure if there's anywhere that can beat it. 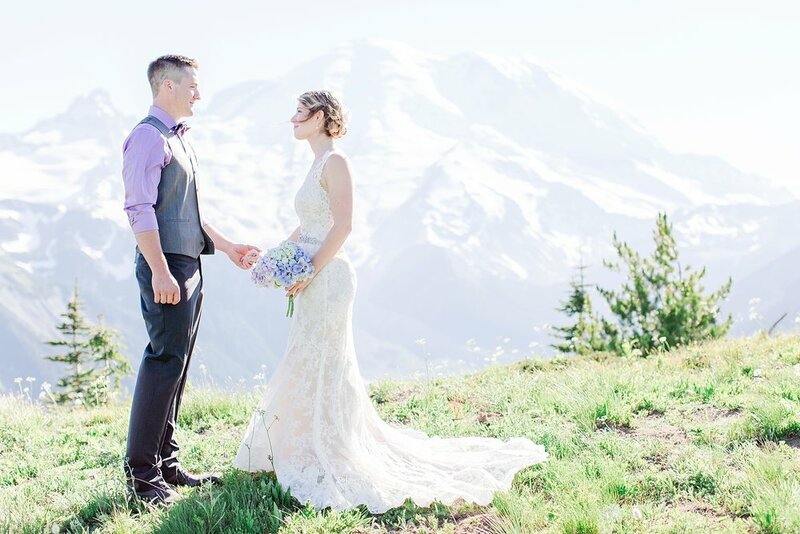 Case in point: Brad and Mandi's STUNNING Mount Rainier elopement that could probably convince anyone in the world Washington State is the most beautiful place on earth. 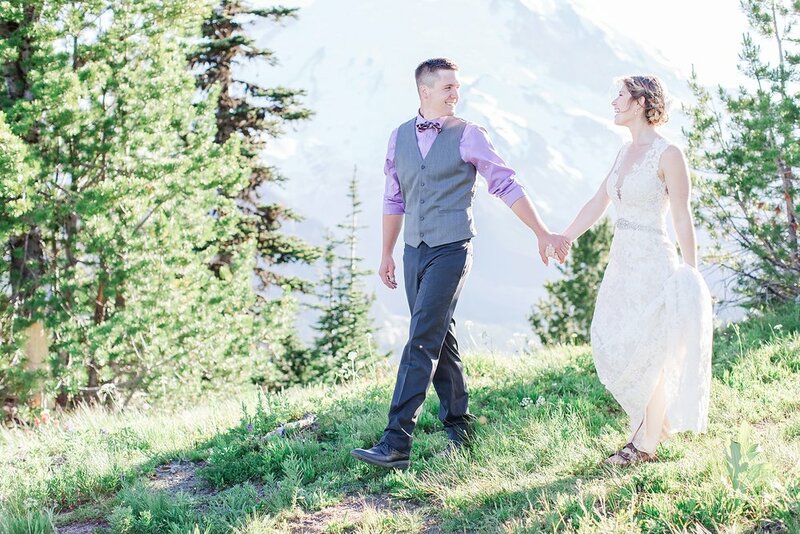 Exactly one year to the day before they said "I do", Brad summited Mount Rainier. 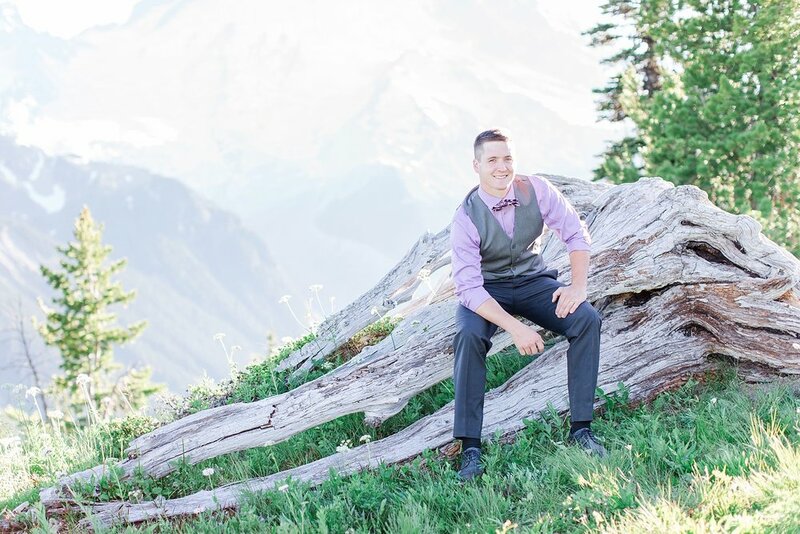 Having grown up in the stunning Pacific Northwest with Rainier just in his backyard, it was a longtime goal of his to reach the summit. 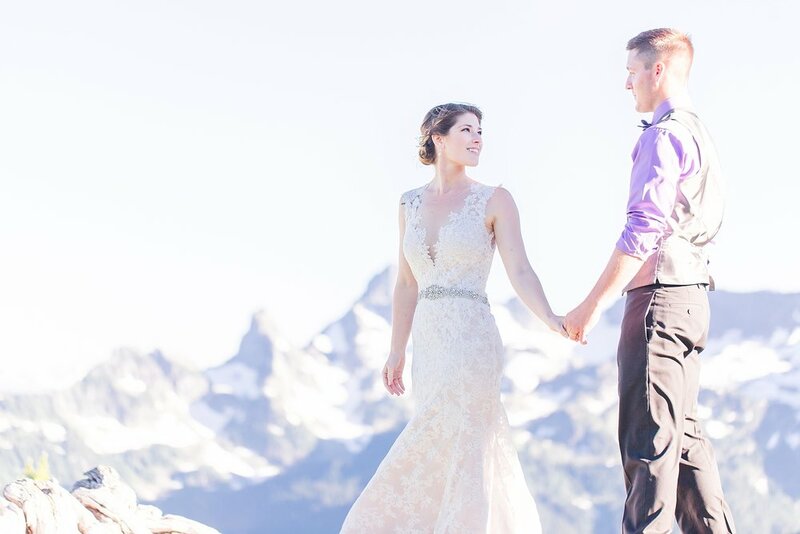 Little did Mandi know, however, that he had purchased her ring before he began the trek. And he took it with him- all the way to the top. 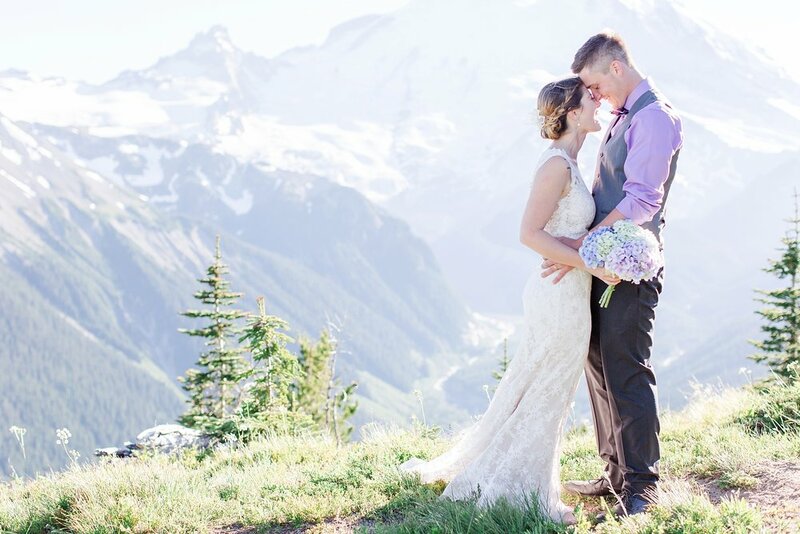 When he returned, he proposed- with a ring that had been to the top of the mountain that is such a beloved hallmark of our lovely PNW. It seemed only fitting, then, for two adventurers like them, to have a ceremony that reflected so beautifully who they are together. 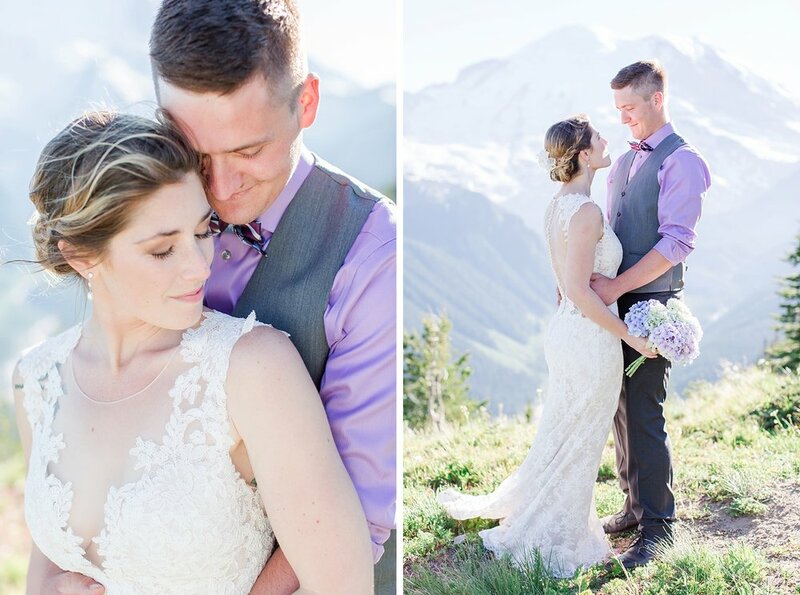 When Mandi told me they had decided to elope to the mountain, I can’t say I was surprised- but I was absolutely thrilled! 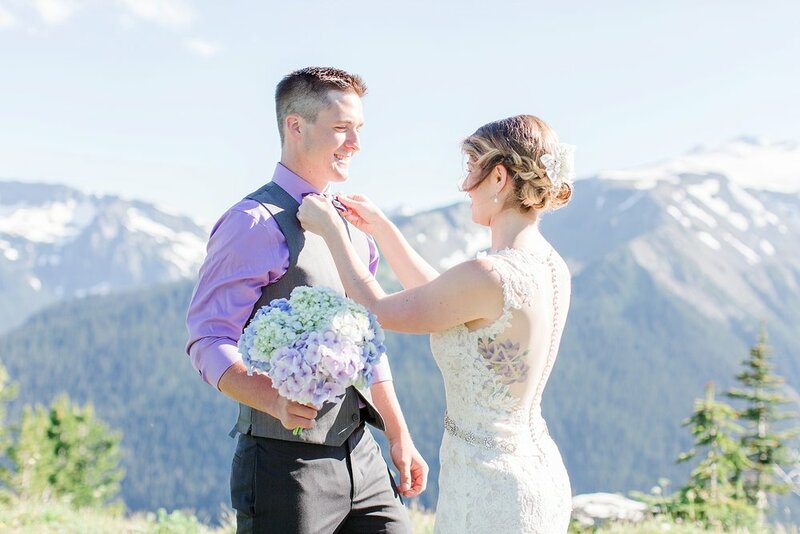 They had selected this perfect spot to say their vows a few weeks prior on a hike, so it was a bit of a trek to get to this secluded spot that was off the beaten path- and it was oh so worth the view!! 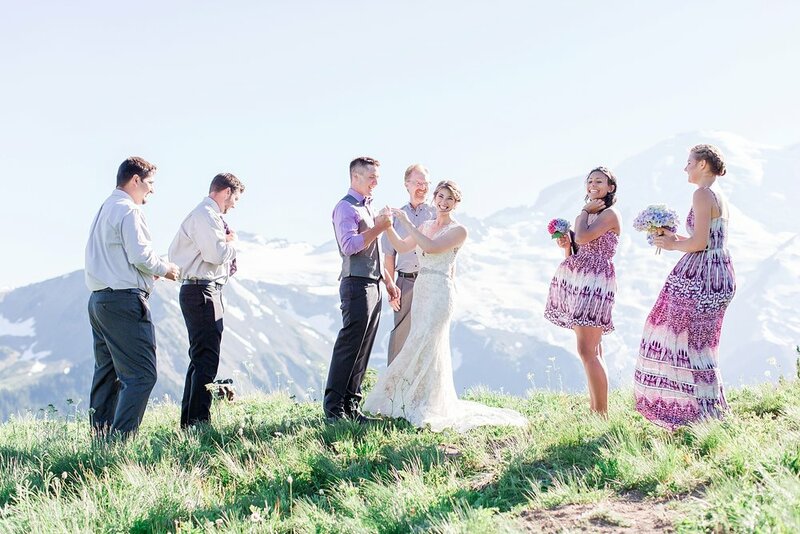 And so, surrounded by only a few people in the world, they were married in a beautifully intimate ceremony on top of the mountain that means so much to them. And then in true Brad and Mandi fashion, we all stopped for burgers and beer at the base of the mountain on our way home! 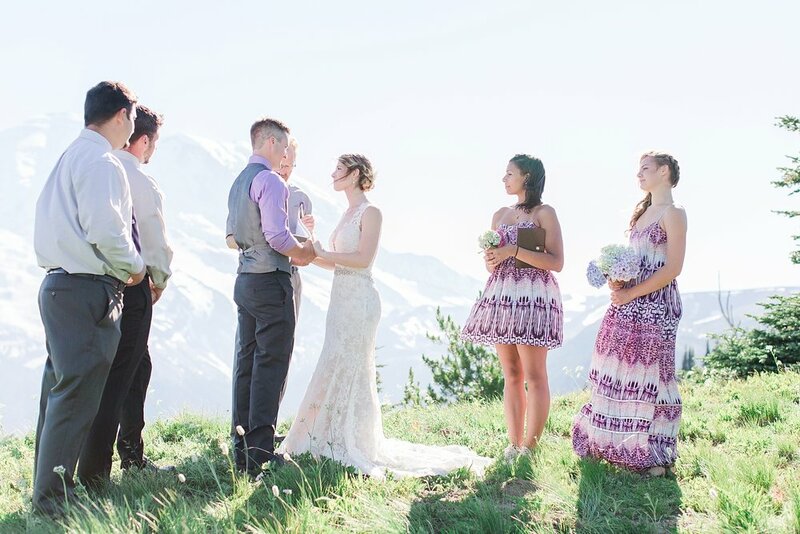 I couldn’t have imagined a more perfect wedding day for these two, because it so beautifully represented who they are- adventurous, non-traditional, joyful, spontaneous, free-spirited. 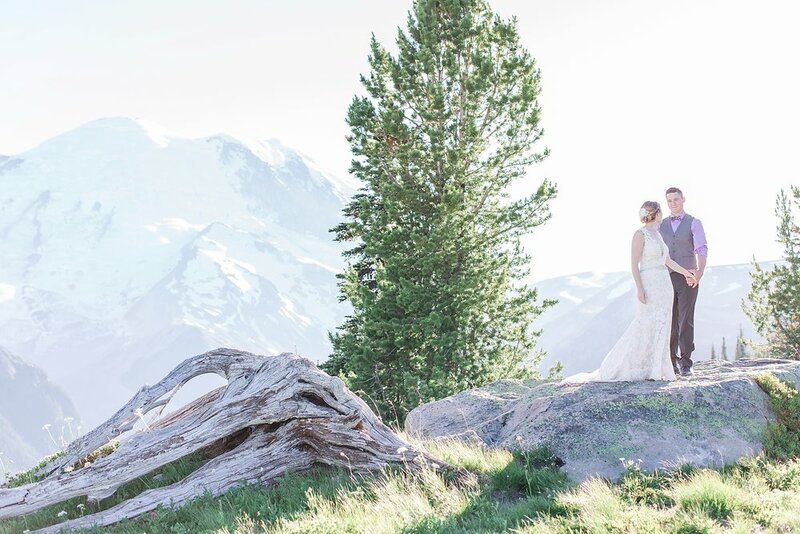 It seemed only fitting that the stunningly raw, rugged, jaw-dropping beauty of the Pacific Northwest would serve as the backdrop for the union of two truly beautiful people. Brad and Mandi, thank you for welcoming Chris and I into your lives with arms wide open, just like you do to everyone who meets you. It's impossible not to feel joyous and loved around the two of you, and for that, we are so grateful. 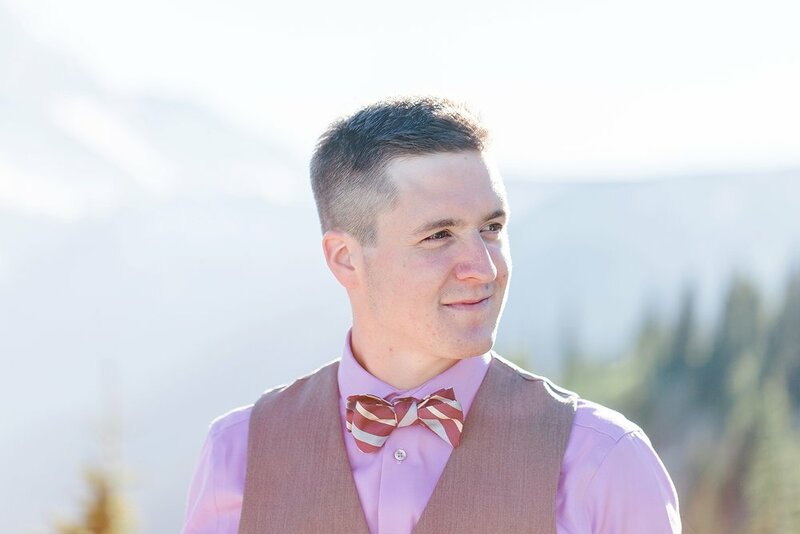 You, and your wedding, day will forever be incredibly special to us.